Just thought I?d let you know how Jenson is getting on. We see a little bit more of his character coming through every day, I reckon it takes a re-homed dog around two years to settle into a new home. In Jenson?s case as he?s had so many homes before us it may take a little longer. I am a strong believer in regular routine for a dog, this helps them to know what?s expected of them and makes them feel more secure. Sometimes I feel there?s an invisible string between Jenson and me, he attaches his nose to my leg and follows me around the house! I take him out early in the morning and let him have a free run on the Downs, he really enjoys this and teases me by running round me in ever decreasing circles ?wuffing? each time he passes! Every one we meet loves him, even though sometimes they don?t know what sort of dog he is. I try to spread the word of how so many are looking for homes and how badly most of them are treated. I?ve even got a Greyhound Trust wheelcover on the back of my Land Rover. 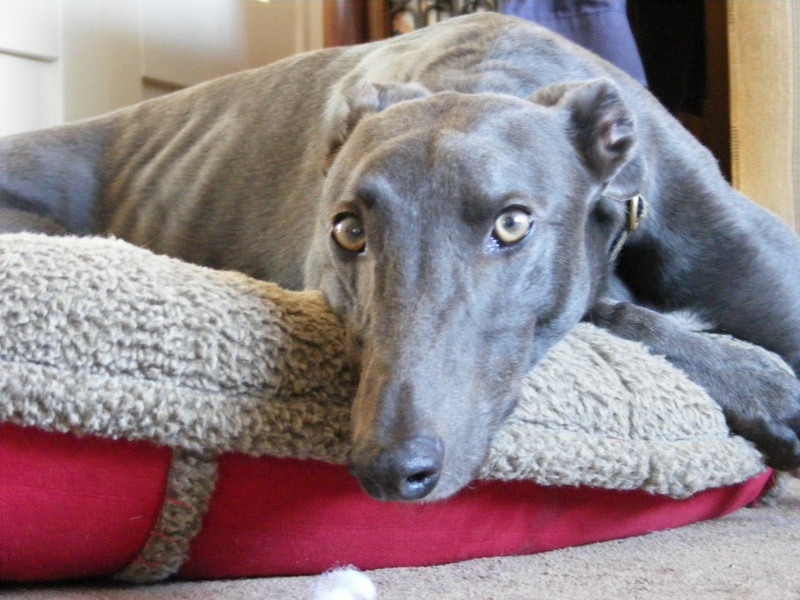 We feel very fortunate to have Jenson and can?t understand why previous owners rejected him. Thanks for giving us the opportunity to look after him, hopefully this will be for the rest of his life.